David Sorel worked at Ernst & Young (2004-2006) before joining CMS Bureau Francis Lefebvre, and then Allen & Overy in 2010. He joined Lacourte Raquin Tatar in 2017 as a partner in the Tax Practice. A lawyer since 2005, he earned a post-graduate degree (DEA) in tax law from the Université de Paris II Panthéon-Assas and a second post-graduate degree (DESS) in international taxation from the Université de Paris II Panthéon-Assas in partnership with the French business school, HEC. 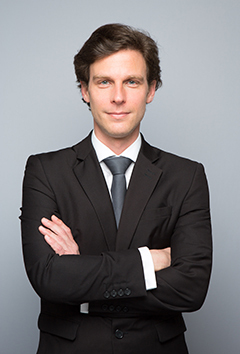 Since 2010 he has taught real estate taxation in the financing and real estate investment law Master 2 program at the Université de Cergy Pontoise. State of play in transactional taxation in France - Focus on the M&A, Private Equity and real estate sectors.